No, this website is for USA residents only. Is the impression kit included in the price of the teeth device? Yes, each order comes with a teeth impression kit and is included in the price of the devices. When do we ship the teeth impression kit to you once the order has been placed? We ship your teeth impression kit the following business day of when your order was placed. The shipping is determined during the checkout process. You are given the options of First Class or Priority Mail. Can we change our shipping address once we have placed the order? No, since our process only takes 15-20 days to complete, we will ship to the shipping address that was given during the purchase. Can we change the shipping options once we have placed an order? No, we do not do special order shipping changes once your order has been placed. Yes, the shipping is free if you choose our First Class Mail option during checkout. We use the same labs that dentists use to have their teeth devices made. Are the teeth devices adjusted by the lab once it is completed? Yes, all final adjustments are made before the teeth device is shipped back to you. How long does it take to have my teeth device made? The lab takes an average of 10-12 business days to manufacture your teeth device. Can the device be made quicker than 10 days? No, we do not offer any rush services due to us selling the teeth devices for over a 50% discount off the dental office price. If you require time constraint service then you will need to see a dentist. How long does it take to receive my teeth device once it has been made? You will choose the shipping option that you prefer during the checkout when you purchase your desired teeth device from the website. Your options are First Class or Priority Mail. If the device doesn’t fit then what do I do? 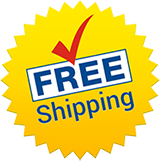 You will simply email what you feel is wrong and we will send you a prepaid shipping label to send the teeth device back to us for a free adjustment or a free remake. If the teeth device needs a small adjustment what do I do? You will simply email what you feel is wrong and we will send you a paid shipping label to send the teeth device back to us for a free adjustment. How do I care for my teeth device? You will simply brush your device daily, after use, with toothpaste and regular temperature tap water. For a deeper cleaning, you can use effervescent tablets as needed. How long do I have to return the device if I want a refund? You must send the unbroken device back to us within 30 days of the date that we shipped it to you. What will I receive with my finished device? You will receive the finished product on a plaster replica of your teeth so you can see how the teeth device should fit in your mouth. You will also receive a carry case and directions as to what to do if you need an adjustment or a remake. When do we ship the teeth impression kit to you? We ship the teeth impression kit the following business day of the day you placed your order. How do we ship the teeth impression kit to you? You will determine how we ship the impression kit to you during checkout. You can choose First Class or Priority Mail. What is in the impression kit? The teeth impression kit contains 6 different sizes of upper and lower trays, practice impression putty, final impression putty and directions on how to take the impressions. What do I do when I receive the teeth impression kit? How long does it take for us to receive your teeth impressions? You will choose the shipping option that you prefer during the checkout process when you purchase your desired teeth device. You can choose First Class or Priority Mail. When do we forward the teeth impressions to the lab? We forward your approved teeth impressions the following business day after we receive them. Where is a description of each teeth device? You can get to a description of each of our teeth devices by clicking on the picture of your desired teeth device on our “Store” page. What products are used to make these devices? All products that are used to manufacture our teeth devices are FDA approved. Is the quality of the devices the same as a dental office? Yes, we use the same labs that make these devices for dentists. What does each device do? Please visit the product description page for description, function and care. Why do the devices with teeth added require me to have 10 existing teeth on both the upper and lower and 20 total existing teeth? This is required because in order for the lab to know where to place the missing teeth, they have to know how your upper and lower teeth meet when you bite all the way down. When you have less than 10 teeth on both the upper and lower, the lab is not able to tell how your upper and lower teeth meet together when you bite down. Can I modify the design of the devices? No, the lab uses the universal shape, size and materials of the most commonly used teeth device designs. Are impressions easy to take? Yes, the teeth impressions only take 5 minutes per arch and you only have to get it right once and then we store your impressions for years. Do you supply practice materials if I have never done this before? Yes, each impression kit comes with enough practice putty to do a full practice impression so you can get familiar with the process before you take your final impressions. How do I send in my teeth impressions? We provide a plastic bag that is used to return your impressions in. You first place your impressions into the baggie and then place them inside of the postage paid envelope to ship back to us. Can I send in an impression or mold that I have from my dentist? 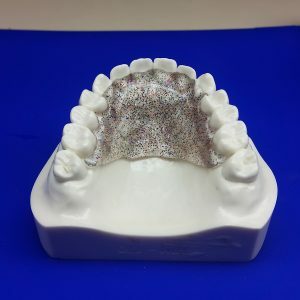 Yes, you can use 3D printed models or silicone (putty) teeth impressions from your dentist but you will still receive a teeth impression kit with your order. There is no discount when you send in your impressions or mold from your dentist. Also, we only guarantee that the teeth device will fit the mold that you sent us from your dentist but we are not able to guarantee that the device will fit your teeth. Can I send a teeth device in the place of teeth impressions? No, the lab is not able to use a teeth device in the place of an impression or mold. If I have to retake an impression do I wait and send both in at the same time or do I send them in one at a time? Yes, if upper and lower impressions are required by the lab, you must send in both impressions at the same time. Do you keep my impressions on file and for how long? No, we ship your impression(s) back to you with your completed device(s) so you can use them for future orders. Can I take an impression over the top of a permanent bonded retainer? Yes, the lab will place wax over the top of the permanent retainer while making the removable retainer so it will not interfere with it when wearing. Is it important to mix the impression putty until it is a solid color? Yes, in order for the impression putty to harden properly, during the impression process, the 2 colors of putty must become a solid color. Do I need to let the impression putty harden all the way before removing it from my mouth? Yes, if you take the impression tray out of your mouth before the putty is totally hardened, it will get distorted and cause your completed teeth device not to fit your teeth.